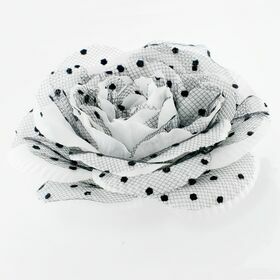 Polka dot rose fabric flower pin made of firm fabric and black polka dot lace. 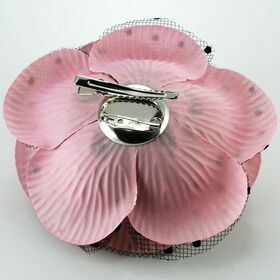 It comes with three color choices, red, pink and grey. The flower measure 5 inches across, it is best for dance dress decoation.